It’s time to get buff! Like, POTF2 Lando Calrissian buff! We’ve updated wave 2 of our Visual Guides from the red-carded The Power of the Force line. Click below to check out each updated Visual Guide. You can also check out reviews for all of these figures, with extended galleries and discussion, right here in our Research Droids Reviews. Now, go join POTF2 Lando and get swole! 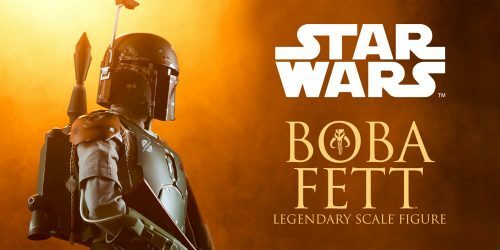 Our next Visual Guide addition to the Shadows of the Empire line is Boba Fett’s Slave I. Click below to check out the full guide page, and make sure to jump over and check out the full review too. It’s time for Shadows Of The Empire! Let’s continue this fun multimedia event with Boba Fett’s Slave I vehicle. It’s the focus of our Research Droids Reviews today! Be sure to leave your thoughts in our comments section, vote in the poll or even comment about it on our Facebook page. Click the banner below for the direct link to the review! As always, you can also send your review requests via email if you’d like to see something that we didn’t cover yet. Here are our TOP 5 ranking Research Droids Reviews for February 2019. We rank reviews based on the total number of unique visits. ← 2019's HASCON Has Been Postponed! It’s our final year of Research Droids Reviews! A new year means new figures! Let’s continue with The Black Series Archive line and look at Boba Fett. He looks good, but he isn’t perfect. Be sure to leave your thoughts in our comments section, vote in the poll or even comment about it on our Facebook page. Click the banner below for the direct link to the review! As always, you can also send your review requests via email if you’d like to see something that we didn’t cover yet. Did Disney Cancel The Clone Wars Because It Was Getting Too Graphic? Comicbook.com recently released an article in which Clone Wars Boba Fett voice actor Daniel Logan is quoted as saying that Disney canceled The Clone Wars back in 2013 because the show would have become too graphic for them. According to Logan he recorded dialogue for several episodes which would have pitted Boba Fett against Cad Bane and would have seen him become the bounty hunter we know. But instead of finishing The Clone Wars Disney created Rebels, a more family friendly show. 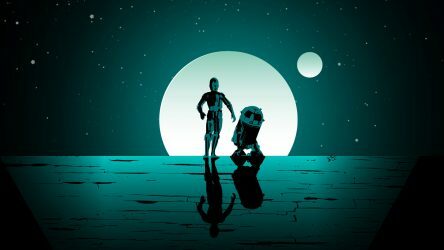 We can only hope that we will get all the missing episodes one day, graphic or not, I think Disney should not insist that all of Star Wars must be family friendly, Resistance is good family entertainment, The Clone Wars can be more mature. Let’s all hope the show will be a huge success on the streaming service and convince Disney to finish all the episodes that have recorded dialogue! ← The Vintage Collection TIE Interceptor IN STOCK With Prime! It’s beautiful! You’re going to love the Boba Fett (Animation Version) from The Star Wars Holiday Special. See why this one is a must-have purchase in our Research Droids Reviews today! Be sure to leave your thoughts in our comments section, vote in the poll or even comment about it on our Facebook page. Click the banner below for the direct link to the review! As always, you can also send your review requests via email if you’d like to see something that we didn’t cover yet. We are adding the last of the Revenge of the Sith Collectible Figure & Cup sets to our Visual Guides tonight. 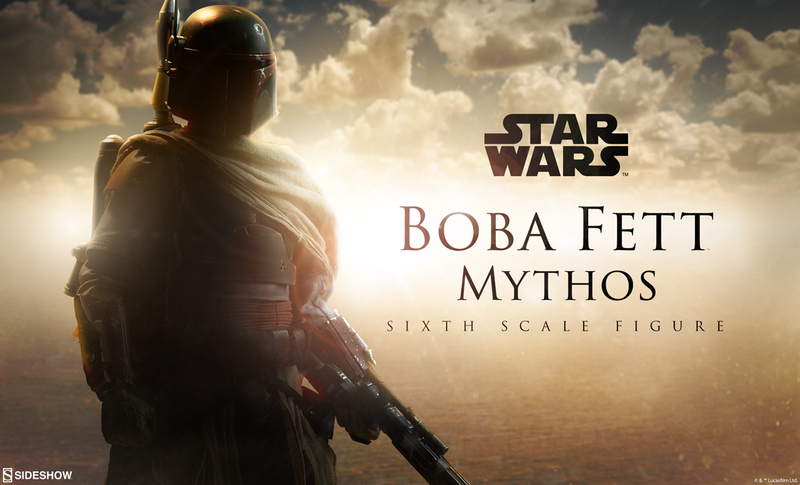 Click below to check out Boba Fett. Be sure to also visit our full review of this set right here. Hey! 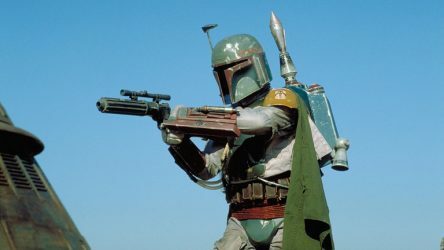 Did you know that the Boba Fett Toybox figure from Disney is based on the original 1979 vintage Kenner Star Wars figure? It’s beautiful! Find out more in our Research Droids Reviews today! Be sure to leave your thoughts in our comments section, vote in the poll or even comment about it on our Facebook page. Click the banner below for the direct link to the review! As always, you can also send your review requests via email if you’d like to see something that we didn’t cover yet. ← Jabba's Sail Barge (The Khetanna) Has Hit 75% Backing! 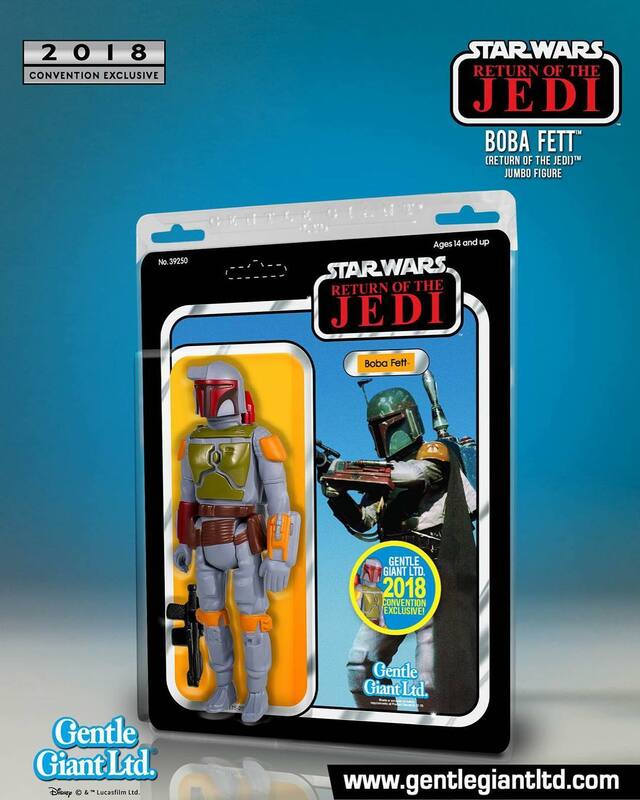 Star Wars Toybox Boba Fett And Luke Skywalker IN STOCK! The Star Wars Toybox Boba Fett and Luke Skywalker are IN STOCK at Shop Disney! Special thanks to friend Josh M. for the alert! We’re back to looking at the last couple waves of Collectible Figure And Cup sets. Many collectors never saw these arrive at TARGET. Let’s begin with Boba Fett. He is the focus of our Research Droids Reviews today! Be sure to leave your thoughts in our comments section, vote in the poll or even comment about it on our Facebook page. Click the banner below for the direct link to the review! As always, you can also send your review requests via email if you’d like to see something that we didn’t cover yet. 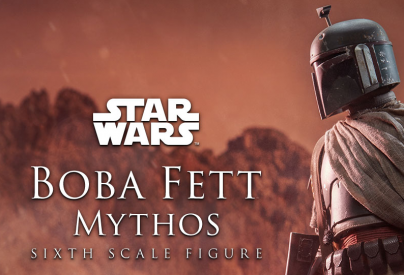 Check out the preview page for the upcoming Sideshow Collectibles Legendary Scale Boba Fett. This will launch for pre-order on Thursday, March 22, 2018 between Noon – 3PM (Pacific Time). Check it out! JTA reader Matthew Z. has found the Toybox Boba Fett at his local Disney Store today! Of particular note, this line of figures is on sale for $10 each too! Boba Fett Backs The Barge And So Should You! Daniel Logan supports #backthebarge! 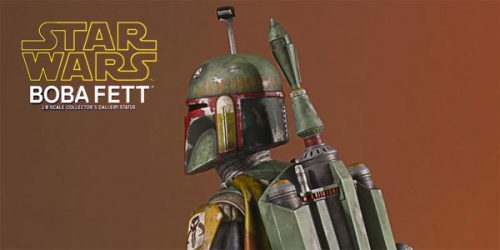 Young Boba Fett himself pleads with Star Wars collectors to support this unprecedented campaign. If it’s good enough for Boba Fett, it’s good enough for you! #backthebarge! ← So, Where Are Those 40th Anniversary Wave 2 Figures? Check out the Han Solo/Boba Fett Two-Pack, our latest Star Wars [The Last Jedi] Visual Guide addition. Click below for the full guide page. Click here for the full review. ← Sponsor Announcement: Dorkside Toys - Plenty of TBS6 IN STOCK! Let’s continue a months-long look at new products from the Force Friday II product launch. Next up is the Han Solo/Boba Fett Two-Packs set. One figure is a blast, the other is not. Can you guess which one rocks? Find out more in our Research Droids Reviews today! Be sure to leave your own thoughts in our comments section, vote in the poll or even leave comments about it on our Facebook page. Click the banner below for the direct link to the review! As always, you can also send your own personal review requests via email if you’d like to see something that we didn’t cover yet. ← SDCC Exclusive Rey (Jedi Training)/Luke Skywalker (Jedi Master) IN STOCK! 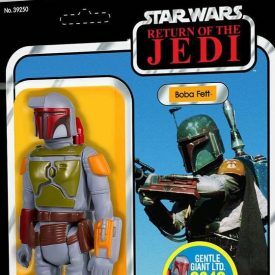 Well, we just discovered that Hasbro has tooled the best 3.75″ Boba Fett action figure of all time. It’s one half of the new Han Solo/Boba Fett Two-Packs set. Sadly, it only comes with five points of articulation. Regardless, it has the greatest head sculpt we have ever seen for this character and possesses a silhouette that perfectly matches the onscreen character. 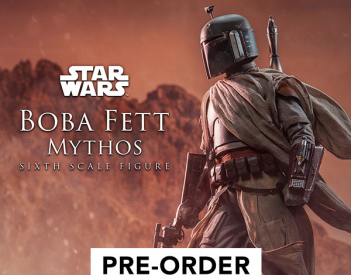 Hasbro, if you’re reading, please convert this figures to super-articulated status so that we can finally have our definitive 3.75″ Boba Fett action figure (and without a removable helmet). It would be the perfect candidate for The Vintage Collection’s return.